A second avalanche followed an hour later in a different area, engulfing two off-piste skiers, according to the reports. 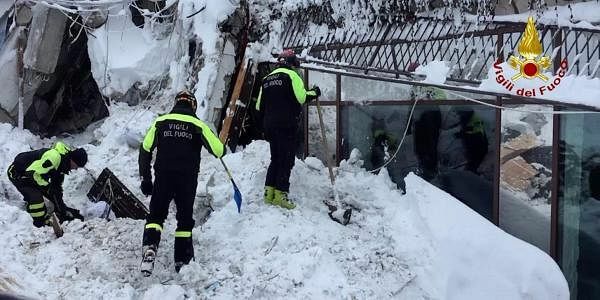 ROME: At least three people were dead, two were missing and several others injured after two avalanches in off-piste sections of the Italian ski resort of Courmayeur on Thursday, rescuers said. Around 20 skiers, all non-Italians, were in the area where the first snow slide occurred just before 1:00 pm (1200 GMT) in the middle of what is one of the busiest weeks of the year for skiing in the Alps, according to media reports. "The (first) avalanche killed three, injured three people who were taken to hospital by helicopter and left two slightly hurt," alpine rescuers said in a statement. "All were skiing off piste." The avalanche risk had been put at three on a one-five scale as a result of fresh snowfalls and high winds which led to build-up of drifts in certain spots. Courmayeur is located in northwestern Italy and is famed for its challenging skiing on the southern slopes of Mont Blanc.